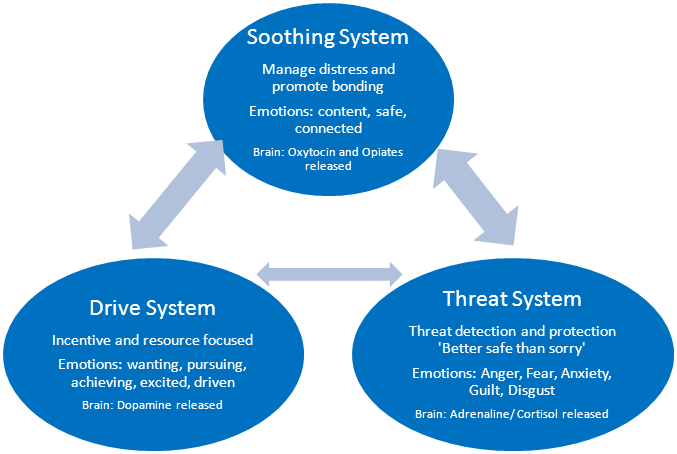 Our model posits that increasingly excessive levels of stress impact on dopaminergic systems to produce neuro-anatomical alterations in the brain which reflect addiction severity and increasingly limited cortical and explicit control over behaviour. The brain progressively “implodes” towards sub-cortical, compulsive and unconscious responding. Stress – Most physiological stressors exert their effects on the hypothalamic-pituitary-adrenal axis (HPA axis), the primary endocrine stress pathway, which initiated by the release of corticotrophin-releasing factor (CRF), stimulates synthesis and release of adrenocorticotropin (ACTH) which stimulates synthesis and release of GCs (corticosterone in rodents, cortisol in humans). Stress also activates the sympathetic adrenomedullary system and the release of NE (51). There are close interactions between the HPA axis and mesocorticolimbic dopaminergic system, with CRF, GCs and NE all impacting on these pathways. In animal models, stressors, such as footshock (52) and tail pinch (53), produce an increase in dopamine release in the nucleus accumbens (NAc) and enhance amphetamine and cocaine self administration in animals (54,55). Drugs activating reward pathways also activate stress pathways (57-63), supporting their classification as pharmacological stressors, with both stress and substances of abuse causing similar excitation of midbrain dopaminergic cells. (56). Chronic drug effects on NE and CRF systems modulate DA-related changes, resulting in “sensitization” or enhanced behavioural and neurochemical response to drugs and to stress. Drugs dramatically alter NE pathways in the VS and DS (64, 65) and ventromedial PFC with consequence for regulating distress and exerting cognitive and behavioral control (8). The responsiveness of noradrenergic systems to stressors (66) and cocaine (67), in rats, poses NE as one mechanism through which drug re-exposure and stressful environmental stimuli promote relapse (68). Injections of α2-adrenoceptor agonists, clonidine and lofexidine, in the brain block stress-induced reinstatement in cocaine-, heroin- and alcohol-trained rats (69, 70). Conversely, infusions of a D1 receptor antagonist, SCH23390, blocked footshock stress-induced reinstatement (71 – see 72 for review). CRF plays a role in addiction (73). Infusing CRF in the VTA increases substance taking behaviour (74) whereas, administrations of CRF antagonists inhibit stress-induced cocaine seeking in rodents (75-77). CRF also has extensive influence across corticostriatal-limbic regions (8, 78), acting on the mesolimbic dopamine system (79), including dopaminergic neurons in VTA and their projections to NaC, PFC and amygdala (80). GCs have a permissive effect upon mesolimbic dopamine (82). GCs alter mesolimbic dopamine signaling, amplifying the initial positive reinforcing effects of alcohol and drugs (1), with reward mediated by glucocorticoid receptors (GRs) located on neurons throughout the mesolimbic dopamine reward pathway (81). GR antagonists have been shown to decrease dopamine levels in the NAc by 50% (82). Molecular changes associated with stress and drug addiction are also similar. In rodent studies, CRF directly influences proliferation of DA receptors in NaC neurons by upregulating CREB, a transcription factor that plays a pivotal role in DA receptor-mediated nuclear signaling and neuroplasticity. This interaction may explain the stress-facilitation of reward (83-86). Similarly, chronic stress increases ΔFosB (another transcription factor) levels in the NAc as well as in PFC and BLA (87). Altered stress systems affect initial substance use by impacting on the reward circuitry of individuals with a vulnerability to maladaptive stress response (37). Early-life and chronic stress impact upon mesolimbic DA pathways (40) sensitizing the reward system and increasing vulnerability to later addiction. Stress Based Wanting- Negative affect persists so wanting has an emotional dimension, “needing”, as demonstrated by craving inducement, whether cue or stress-based, eliciting negative emotions. CRF and NE augment craving and incentive salience. As Berridge et al suggest, in regard to the ‘paradoxical’ positive incentive effects in stress’ (42) CRF in the NaC shell magnifies incentive salience. Drug cues activate the stress axis and when presentation of cue is preceded by stress, the response-reinstating actions of the cue are greatly increased (17). Elevated stress directly enhances cue-induced activation of brain areas associated with reward processing, attentional bias and memory recall (21); consistent with allostasis, as the brain introduces “experience, memories, and the re-evaluation of needs in anticipation of physiological requirements” (17). Compulsion (phase 3) – This is a beyond the compulsive wanting of the C-L-S loop; relapse prompted by extreme emotional distress and a “to hell with it” reaction. Reward, memory, emotional regulation and behaviour control all become DS-dependent. Reward – stress activates the DS (87) and substance-related cues elicit dopamine release in DS (88) in line with addiction severity, suggesting the strengthening of substance-related habits as addiction progresses. This reflects a shift in reward processing from the VS to DS. Memory – elevated stress triggers excessive engagement of habitual processes, by changing the role of memory systems in behaviour. For example, acute stress before a learning task results in a predominantly habitual rather than a cognition-based role of memory in task completion (35). Chronic stress causes opposing structural changes in neural networks subserving goal-directed and habitual action, with PFC atrophy and DS hypertrophy (35). 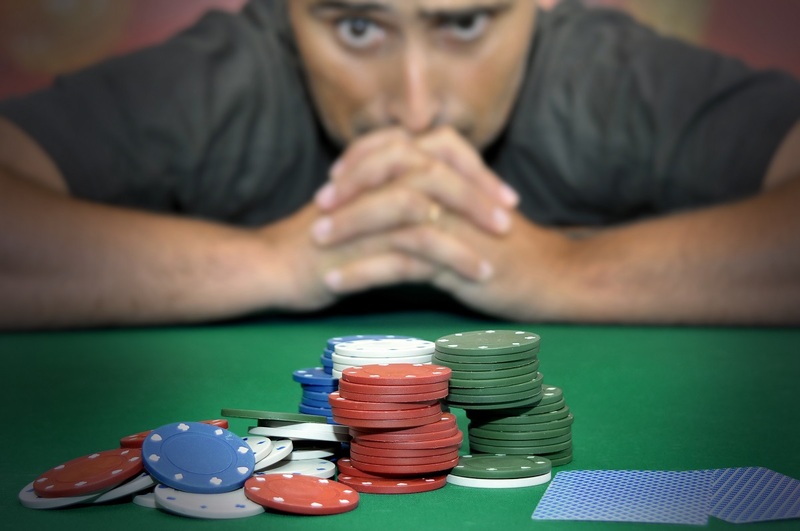 Bias toward habitual responding after chronic stress may accelerate these transitions from initially goal-directed to habitual and compulsive action with reduced cognitive control interacting with overshooting stress reactivity to influence the progression from initial drug use to addiction. GCs may act in concert with NE to shift instrumental action from goal-directed to habitual (93-95). Behaviour control – post mortem analyses show changes in the neurochemistry of the PFC following chronic drug abuse, with impaired PFC and enhanced DS. GCs can act as a switch between these two memory systems and modulate a DS-based habit system over the PFC-based goal-directed system thus rendering behaviour habitual rather than goal-directed, accompanied by reduced explicit knowledge of action-outcome associations which may contribute insight into why addicts relapse despite often being aware of the negative consequences (96-100). 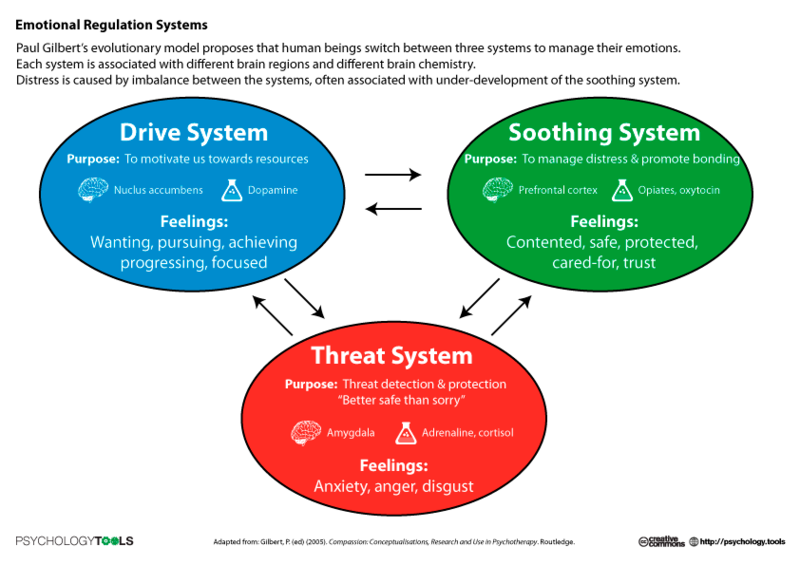 Emotion – emotional regulation, via an “emotional arousal habit bias”, may also become DS dependent. Cleck JN, Blendy JA (2008): Making a bad thing worse: adverse effects of stress on drug addiction.The Journal of Clinical Investigation 118: 454-461. Koob, GF, LeMoal M (2001): Drug addiction, dysregulation of reward, and allostasis. Neuropsychopharmacology 24: 97–129. Schwabe L, Dickinson A, Wolf OT (2011): Stress, habits, and drug addiction: a psychoneuroendocrinological perspective.Experimental and Clinical Psychopharmacology 19: 53. 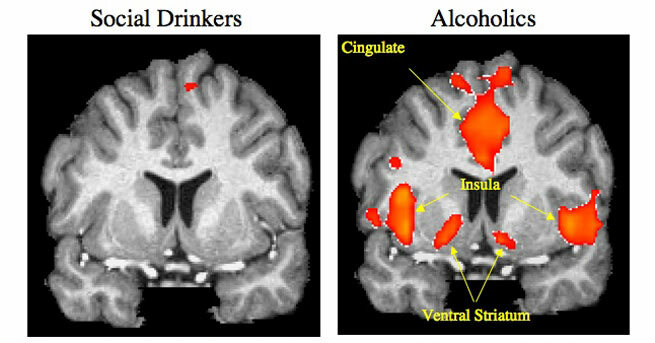 Seo D, Lacadie CM, Tuit K, Hong KI, Constable RT, Sinha R (2013): Disrupted ventromedial prefrontal function, alcohol craving, and subsequent relapse risk. JAMA Psychiatry 70: 727-739. Sterling P, Eyer J (1988): Allostasis: a new paradigm to explain arousal pathology. In: Fisher S, Reason J, editors.Handbook of Life Stress, Cognition and Health. New York, NY: John Wiley & Sons, pp 629-49. Kalivas PW, Duffy P (1995): Selective activation of dopamine transmission in the shell of the nucleus accumbens by stress. Brain Research 675: 325–328. Rougé‐Pont F, Deroche V, Moal ML, Piazza PV (1998): Individual differences in stress‐induced dopamine release in the nucleus accumbens are influenced by corticosterone. European Journal of Neuroscience 10: 3903-3907. Piazza PV, Deminiere JM, le Moal M, Simon H (1990): Stress-and pharmacologically-induced behavioral sensitization increases vulnerability to acquisition of amphetamine self-administration. Brain Research 514: 22-26. Goeders NE, Guerin GF (1994): Non-contingent electric footshock facilitates the acquisition of intravenous cocaine self-administration in rats. Psychopharmacology 114: 63-70. Saal D, Dong Y, Bonci A, Malenka RC (2003): Drugs of abuse and stress trigger a common synaptic adaptation in dopamine neurons. Neuron 37: 577-582. Wand GS, Dobs AS (1991): Alterations in the Hypothalamic-Pituitary-Adrenal Axis in Actively Drinking Alcoholics*. The Journal of Clinical Endocrinology & Metabolism 72: 1290-1295. Baumann MH, Gendron TM, Becketts KM, Henningfield JE, Gorelick DA, Rothman RB (1995): Effects of intravenous cocaine on plasma cortisol and prolactin in human cocaine abusers. Biological Psychiatry 38: 751-755. Mello NK, Mendelson JH (1997): Cocaine’s effects on neuroendocrine systems: clinical and preclinical studies.Pharmacology Biochemistry and Behavior 57: 571-599. Sofuoglu M, Nelson D, Babb DA, Hatsukami DK (2001): Intravenous cocaine increases plasma epinephrine and norepinephrine in humans. Pharmacology Biochemistry and Behavior 68: 455-459. Mendelson JH, Sholar M, Mello NK, Teoh SK, Sholar JW (1998): Cocaine tolerance: behavioral, cardiovascular, and neuroendocrine function in men. Neuropsychopharmacology 18: 263-271. Chen H, Fu Y, Sharp BM (2007): Chronic nicotine self-administration augments hypothalamic–pituitary–adrenal responses to mild acute stress. Neuropsychopharmacology33: 721-730. Beveridge TJ, Smith HR, Nader MA, Porrino LJ (2005): Effects of chronic cocaine self-administration on norepinephrine transporters in the nonhuman primate brain.Psychopharmacology180: 781-788. Porrino LJ, Smith HR, Nader MA, Beveridge TJ (2007): The effects of cocaine: a shifting target over the course of addiction.Progress in Neuro-Psychopharmacology and Biological Psychiatry 31: 1593-1600. Tanaka T, Yokoo H, Mizoguchi K, Yoshida M, Tsuda A, Tanaka M (1991). Noradrenaline release in the rat amygdala is increased by stress: studies with intracerebral microdialysis. Brain Research 544: 174-176. Reith ME, Li MY, Yan QS (1997): Extracellular dopamine, norepinephrine, and serotonin in the ventral tegmental area and nucleus accumbens of freely moving rats during intracerebral dialysis following systemic administration of cocaine and other uptake blockers. Psychopharmacology 134: 309–317. Mantsch JR, Weyer A, Vranjkovic O, Beyer CE, Baker DA, Caretta H (2010): Involvement of noradrenergic neurotransmission in the stress-but not cocaine-induced reinstatement of extinguished cocaine-induced conditioned place preference in mice: role for β-2 adrenergic receptors. Neuropsychopharmacology 35: 2165-2178. Stewart J (2008): Psychological and neural mechanisms of relapse. Philosophical Transactions of the Royal Society B: Biological Sciences 363: 3147-3158. Sarnyai Z, Shaham Y, Heinrichs SC (2001): The role of corticotropin-releasing factor in drug addiction. Pharmacological Reviews 53: 209-244. Eede FVD, Broeckhoven CV, Claes SJ (2005): Corticotropin-releasing factor-binding protein, stress and major depression. Ageing Research Reviews 4: 213-239. Gallagher JP, Orozco-Cabal LF, Liu J, Shinnick-Gallagher P (2008): Synaptic physiology of central CRH system. European Journal of Pharmacology 583: 215-225. Hahn J, Hopf FW, Bonci A (2009): Chronic cocaine enhances corticotropin-releasing factor-dependent potentiation of excitatory transmission in ventral tegmental area dopamine neurons.The Journal of Neuroscience 29: 6535-6544. Gao L, Wan X (2008): A novel mechanism linking corticotrophin-releasing factor to ventral tegmental area dopamine neuron firing. The Journal of Physiology 586: 4037-4038. Wang B, Shaham Y, Zitzman D, Azari S, Wise RA, You ZB (2005): Cocaine experience establishes control of midbrain glutamate and dopamine by corticotropin-releasing factor: a role in stress-induced relapse to drug seeking. The Journal of Neuroscience 25: 5389-5396. Lodge DJ, Grace AA (2005): Acute and chronic corticotropin-releasing factor 1 receptor blockade inhibits cocaine-induced dopamine release: correlation with dopamine neuron activity. Journal of Pharmacology and Experimental Therapeutics 314: 201-206. Briand LA, Blendy JA (2010): Molecular and genetic substrates linking stress and addiction. Brain Research 1314: 219–234. Carlezon WA Jr, Thome J, Olson VG, Lane-Ladd SB, Brodkin ES, et al. (1998): Regulation of cocaine reward by CREB. Science 282: 2272–2275. Kreibich AS, Briand L, Cleck JN, Ecke L, Rice KC, et al. (2009): Stress-induced potentiation of cocaine reward: a role for CRF R1 and CREB. Neuropsychopharmacology 34: 2609–2617. Treutlein J, Kissling C, Frank J, Wiemann S, Dong L, Depner M, et al. (2006): Genetic association of the human corticotropin releasing hormone receptor 1 (CRHR1) with binge drinking and alcohol intake patterns in two independent samples. Molecular Psychiatry 11: 594-602. Marinelli M, Aouizerate B, Barrot M, Le Moal M, Piazza PV (1998): Dopamine-dependent responses to morphine depend on glucocorticoid receptors. Proceedings of the National Academy of the Sciences 95: 7742–7747. Härfstrand A, Fuxe K, Cintra A, Agnati LF, Zini I, Wikström AC, et al. (1986): Glucocorticoid receptor immunoreactivity in monoaminergic neurons of rat brain. Proceedings of the National Academy of Sciences 83: 9779-9783. Blomeyer D, Treutlein J, Esser G, Schmidt MH, Schumann G, Laucht M (2008): Interaction between CRHR1 Gene and Stressful Life Events Predicts Adolescent Heavy Alcohol Use. Biological Psychiatry 63: 146-151. Schmid B, Blomeyer D, Treutlein J, Zimmermann US, Buchmann AF, Schmidt MH, et al. (2010): Interacting effects of CRHR1 gene and stressful life events on drinking initiation and progression among 19-year-olds. The International Journal of Neuropsychopharmacology 13: 703-714. Sinha R, Lacadie C, Sludlarski P, Fulbright RK, Rounsaville BJ, Kosten TR, Wexler BE (2005): Neural activity associated with stress-induced cocaine craving: A functional magnetic resonance imaging study. Psychopharmacology 183: 171–180. Volkow ND, Wang GJ, Telang F, Fowler JS, Logan J, Childress AR, et al. (2006): Cocaine cues and dopamine in dorsal striatum: mechanism of craving in cocaine addiction. Journal of Neuroscience 26: 6583–6588. 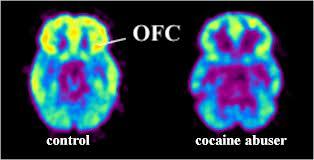 Vanderschuren LJ, Di Ciano P, Everitt BJ (2005): Involvement of the dorsal striatum in cue-controlled cocaine seeking. Journal of Neuroscience 25: 8665–8670. Ito R, Dalley JW, Robbins TW, Everitt, BJ (2002): Dopamine release in the dorsal striatum during cocaine-seeking behavior under the control of a drug-associated cue. Journal of Neuroscience 22: 6247–6253. Packard MG, White NM (1989): Memory facilitation produced by dopamine agonists: Role of receptor subtype and mnemonic requirements. Pharmacology, Biochemistry, and Behavior 33: 511–518. Schwabe L, Tegenthoff M, Höffken O, Wolf OT (2010): Concurrent glucocorticoid and noradrenergic activity shifts instrumental behavior from goal-directed to habitual control. Journal of Neuroscience 20: 8190–8196. Piazza PV, Rouge´-Pont F, Deroche V, Maccari S, Simon H, Le Moal M (1996): Glucocorticoids have state-dependent stimulant effects on the mesencephalic dopaminergic transmission. Proceedings of the National Academy of the Sciences 93: 8716–8720. Barrot M, Abrous DN, Marinelli M, Rougé-Pont F, Le Moal M, Piazza PV (2001): Inﬂuence of glucocorticoids on dopaminergic transmission in the rat dorsolateral striatum. European Journal of Neuroscience 13: 812–8. Biron D, Dauphin C, Di Paolo T (1992): Effects of adrenalectomy and glucocorticoids on rat brain dopamine receptors. Neuroscience 55: 468-476. Czyrak A, Wedzony K, Michalska B, Fijal K, Dziedzicka-Wasylewska M, Mackowiak M (1997): The corticosterone synthesis inhibitor metyrapone decreases dopamine D1 receptors in the rat brain. Neuroscience 79: 489-495. Schwabe L, Oitzl MS, Philippsen C, Böhringer A, Richter S, Wippich W, & Schächinger H (2007): Stress modulates the use of spatial and stimulus-response learning strategies in humans. Learning & Memory 14: 109–116. Schwabe L, Oitzl MS, Richter S, Schächinger H (2009): Modulation of spatial and stimulus-response learning strategies by exogenous cortisol in healthy young women. Psychoneuroendocrinology 34: 358–366. Schwabe L, Schächinger H, de Kloet ER, Oitzl MS (2010): Corticosteroids operate as switch between memory systems. Journal of Cognitive Neuroscience 22: 1362–1372. Diamond DM, Campbell AM, Park CR, Halonen J, Zoladz PR (2007): The temporal dynamics model of emotional memory processing: a synthesis on the neurobiological basis of stress-induced amnesia, flashbulb and traumatic memories, and the Yerkes-Dodson law. Neural Plasticity 2007: article ID 60803, doi:10.1155/2007/60803.